The Minister of Decentralisation and Local Development paid the maiden working visit to the head office of the Special Council Support Fund for Mutual Assistance (FEICOM) last Friday. 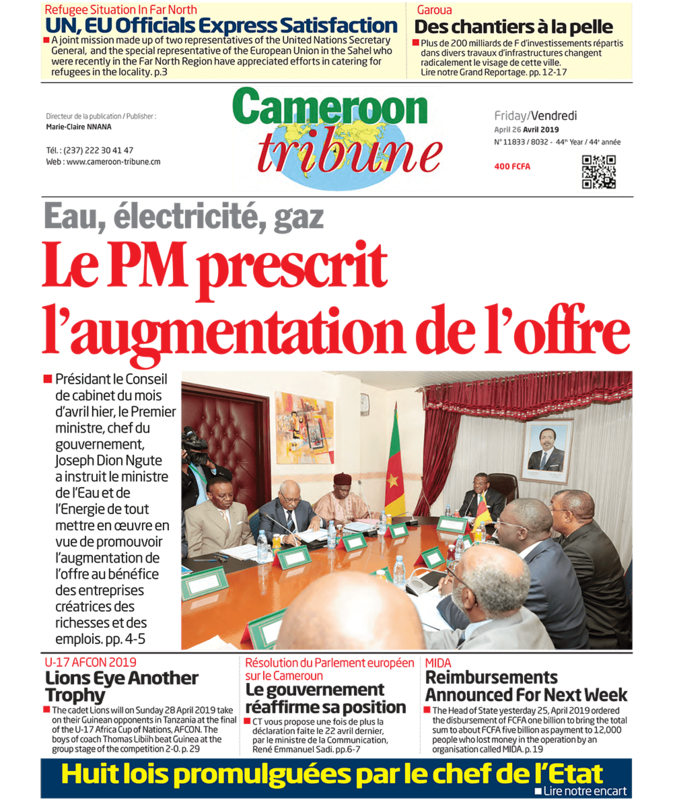 The Minister of Decentralisation and Local Development, Georges Elanga Obam on Friday, June 1, 2018 paid the maiden working visit to the head office of the Special Council Support Fund for Mutual Assistance (FEICOM) to have first hand information and live the realities on the functioning of the institution that is a key cornerstone in the decentralisation process in Cameroon. The ultimate mission of FEICOM is to support councils in their development projects aimed at improving the living conditions of the population through technical and financial assistance. After the working session during which the Director General of FEICOM, Philippe Camille Akoa presented all the facets of the institution including senior officials, Minister Elanga Obam paid a guided visit, first of all to the Local Councils GIS Observatory Gilbert Biwolé which is the data bank of FEICOM and all the councils in Cameroon and secondly, the ambitious and futuristic FEICOM head office under construction. 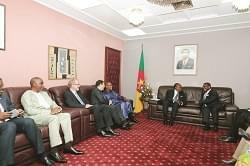 In a declaration, Minister Elanga Obam said he came to see for himself the situation, support and encourage FEICOM. He used the opportunity to call on the institution to contribute more to accelerate the ongoing decentralisation process in the country. He also expressed satisfaction at the work already done at the new FEICOM’s head office, stating that it tied with the institution’s image that is in quest of perfection. Mr Elanga Obam urged staff of FEICOM to be assiduous at work in order to face the challenge of accelerating the decentralisation process. The major challenges, he specified, consisted of extending FEICOM’s services to the Regions and also to optimise intervention tools. In his welcome word, the Director General of FEICOM, Philippe Camille Akoa said the Minister’s visit brought comfort and assurance to the institution. He congratulated Minister Elanga Obam on his brilliant appointment on May 2, 2018 as the pioneer Minister of the Ministry of Decentralisation and Local Development.